By the time you’re nine weeks pregnant your developing baby’s mouth and tongue have formed and he or she has tiny taste buds. Neurons from the brain will have connected with them. Still, your baby can’t totally taste the surrounding amniotic fluid yet. Taste pores which are the small pits on the surface of the tongue that enable the molecules from food to connect with the taste receptors that make up taste buds are needed for that to happen. At 21 weeks after conception, though, the growing baby is able to gobble up several ounces of amniotic fluid daily. The fluid surrounding the baby is in fact flavored by the foods and beverages you have eaten in the last few hours. So as your baby tastes the amniotic fluid it has its first experiences with different “second hand” flavors and smells too. 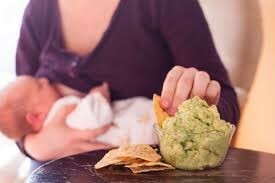 Research has shown that the foods you eat during pregnancy have an effect on the foods that your baby favors. In one study, mothers who drank carrot juice during the last trimester of pregnancy had babies who frowned way less when fed carrot juice than those who were not. Meanwhile, another 2012 study suggests that women who eat junk food during pregnancy and while breastfeeding tend to have obesity-prone children. Furthermore, the pregnant rats that munched on lots of junk food and had diets high in sodium, fat and sugar gave birth to babies who favored these foods and disliked more nourishing ones. Apparently, that is because “Mc Junk Foods” change the central reward system located in the brain known as the mesolimbic reward pathway. These changes lead to a higher preference for “appealing” or “enjoyable” foods with little to no nutritional content. During pregnancy, make a real effort to eat healthy and flavorful foods. Choose a wide mixture of fresh fruits and vegetables, especially those that children don’t usually have a desire for such as avocados, grapefruit, beans, asparagus etc. And if you’re jonesing for some Ruffles or Pringles, just opt for healthier interesting alternatives like seaweed chips or oven baked sweet potato chips and avocado dip instead. You can’t go wrong with either of these. 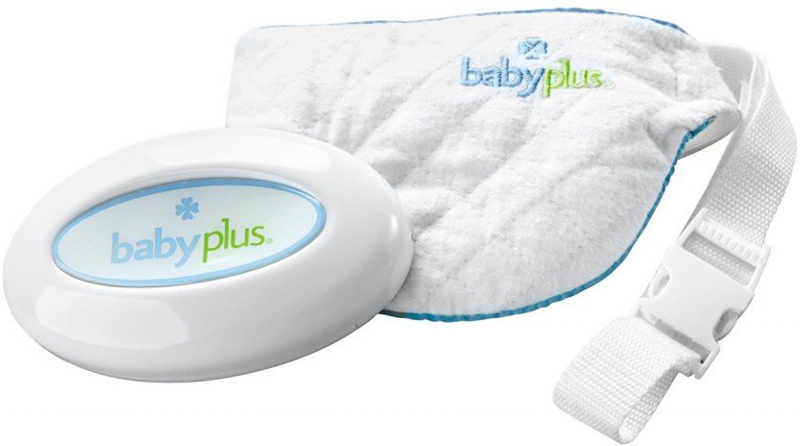 Next, something keep in mind if you’re on the fence about whether to nurse or not is, unlike formula-fed babies, breast-fed babies tend to have broad palates. That’s because they sample many foods while nursing. Whereas formula -fed babies don’t encounter a variety of flavors. And so, as toddlers, the latter often develop food neophobia, which is the fear of trying new foods. They usually have a food repertoire of around ten items. 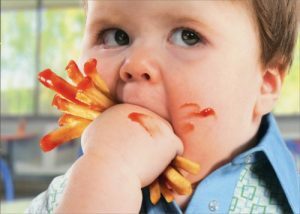 It’s just too bad that the foods these toddlers tend to be most wary of are the very ones we most want them to like. The baby-food months are also an important time for developing food preferences. Tasting a particular flavor about ten times during this period can help make your baby familiar enough with it to develop a liking for it later. 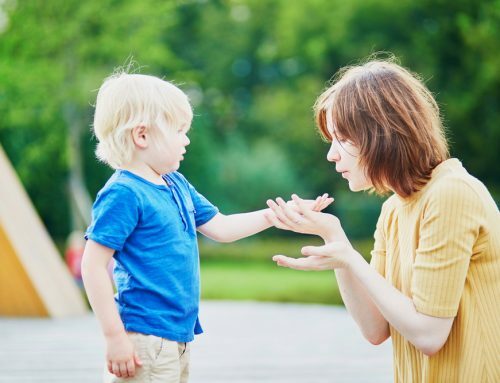 However, trying to sell broccoli, or any member of the cruciferous family “ten times” or as “baby trees” may not sway toddlers who are highly sensitive to what they believe to be smelly foods. As a child, like many, I could not tolerate the stench of overcooked greens, especially broccoli. Evidently, my mother ate no steamed “baby trees” at all when she was carrying or breastfeeding me. That unpleasant decaying plant smell overtaking the kitchen coupled with the bitter taste was enough to send me running for cover. 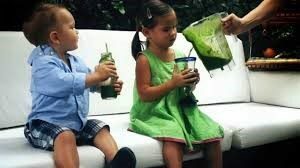 To prevent meltdowns at dinner time, simple-to-make sweet green smoothies are a way to ease little ones on board the veggie chew-chew train with the least amount of push back. In fact, fussy eaters often welcome drinking this cold green treat especially when they get to choose all ingredients themselves. 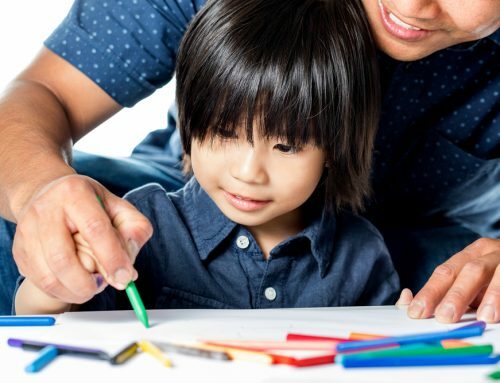 And speaking of which, when your toddler is old enough to be involved in planting seeds in the garden, grocery shopping and following kid friendly recipes, he or she will feel connected to the process and is more likely to eat the foods they’ve played a big role in preparing. Even those who are too little to type up weekly grocery lists can help you make healthy choices along their healthy eating journey such as pears or plums? cheddar or feta? almonds or walnuts? etc., forming good food habits that may just last a lifetime.